The city has attractions with reasonable prices in several regions. 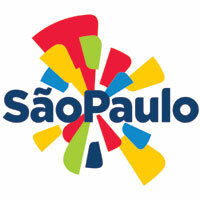 See below suggested tours in a few neighborhoods and places to enjoy the city with up to R$ 50. A stroll down the Paulista Avenue can yield a nice day, starting with a bike ride in the new bicycle path. For lunch, if you venture out and leave the obvious, you can discover some very old, tasty and best of all, cheap secrets and traditions. This is the case of Casa Garcia, a grocery store founded by two Spanish cousins, located in the Luís Coelho Street. The establishment serves a delicious and traditional pavê de doce de leite (trifle of dulce de leche), for R$ 4.50 a piece, as well as delicious sandwiches freshly mad with the cheeses, salamis and pates from the grocery store, costing between R$ 8 and R$ 30. Returning to the Paulista Avenue, various free attractions (or very cheap) can be exploited, as Masp, the Casa das Rosas, the Conjunto Nacional and the Cultura bookstore. To continue the program, a hike to the Frei Caneca Street can yield a great evening at the Gioia Café. Located in the back of the Centro Cultural Ítalo Brasileiro, the coffee shop serves traditional cannoli from Sicily, in the classic version, full with ricotta cream flavored with orange flower water, vanilla and marsala wine added with candied fruit (R$ 8) or other flavors as dulce de leche and chocolate (R$ 7). The region of Bom Retiro can yield good (and cheap) programs. Known for clothes and fabrics at affordable prices, the neighborhood also has other points of interest such as the Pinacoteca do Estado, the Luz station, the Portuguese Language Museum and the Sacred Art Museum. For lunch, it is worth knowing the Arais do Carlinhos, a traditional restaurant founded by Armenian Missak Yaroussalin, known in Brazil as Carlinhos. The sandwich on pita bread has several variations, but the traditional ones with meat can be enjoyed for R$ 16.90. The neighborhood also has a unit of Sesc, which always has free and at affordable prices cultural programming. Vila Mariana is a place of easy access to various regions in the center of São Paulo, it has attractions such as Sesc’s unit, which always receives numerous attractions, and the Modernist House, which is the first building of the style in Brazil. The place is famous for harboring one of the largest parks in the city, the Ibirapuera, known for its numerous attractions, such as bike rides, museums, the Japanese Pavilion and the Planetarium, all at affordable prices of up to R$ 10. For movie lovers and curious, another tourist spot of the neighborhood is the Cinemateca, with a collection of 20 thousand rolls of films, with national and foreign productions among them. When hunger comes, the Rancho da Empada, on the Domingos de Morais Street, is one of the suggestions. The place is cellebrating 19 years, with empadas ranging from R$ 6 to R$ 8 and broths of up to R$ 11. The Center region has many options. For instance, the Banespão or the Martinelli building, ensure the best view of the city without spending a dime. There is also CCBB, which always has some free attraction, as exhibitions, screenings of films or plays. The São Bento Monastery is also worth a visit. If you have a little time, go to the 25 de Março Street, where you can find everything for very low prices, and it is also very close to the Mercado Municipal (city market). To eat, what about a sfiha at the restaurant Raful, with a cost of R$ 4.80 an unit? And if you choose to stay late, you can join the Night Walk, which takes place every Thursday and is completely free of charge. Going to Liberdade seems the opposite to spend little. Not because the prices are high, but because there are so many temptations that is hard to control ourselves – beware of the handicraft market that happens every weekend! So, how about changing the focus and enjoying the cultural side of the neighborhood? The Museum of Japanese Immigration charges up to R$ 8 of visitors, and there you can learn more about the rich history of the Japanese who came to São Paulo. And to end the night, how about a karaoke? The Choperia Liberdade offers, between beers and snacks, a chart with songs costing R$ 2. The neighborhood itself is worth the trip, with its vibrant and colorful streets. But for those who do not enjoy to keep walking around, some art galleries are worth visiting, like A Sétima, specialized in street art, or the Beco do Batman, known for gathering the works of several graffiti artists. On the weekends, it is possible to hear a good jazz and enjoy other attractions that take place outdoors. An how about a beer in the Boteco Coutinho, for R$ 7.90? And to feel better, stop by the Casa de Bolos, where for just R$ 12 it is possible to purchase a yummy carrot cake with chocolate. The neighborhood is known for housing immigrants, and it is possible to know this story by visiting the Museum of Immigration. During the weekends, in the Museum street, a locomotive of 1922 makes a tour of the place. And for football lovers, Mooca also houses the Conde Rodolfo Crespi Stadium, of Juventus, which on game days has the presence of a historical figure, Mr. Antônio. For only R$ 3, you can try a cannoli made by him. Other attractions of the neighborhood are: the Mirante Morro São João, the famous skating rink Roller Jam and the Praça Vermelha. When hunger comes, the Cadillac Burger serves 180 grams of meat in delicious burgers of up to R$ 30, all this in the best of the United States vintage style.